I'm Shrinidhi Hande, I am an Associate Manager in an MNC and in my free time, I pursue blogging as a hobby and passion. I'm 35 years young and currently live in Chennai, India. My key interests are travel, adventure and automobiles. Blogging since May 2006, eNidhi.net (initially on enidhispeaks.blogspot.com) is in its 12th year now. 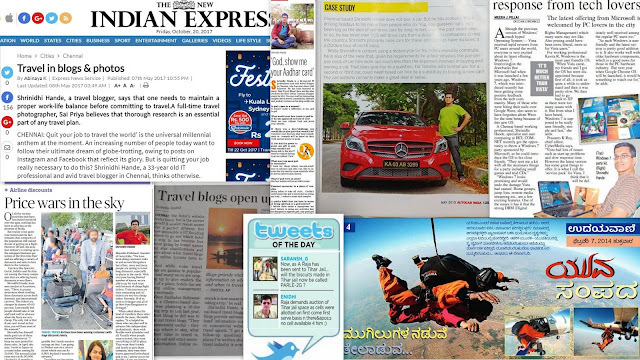 This blog focuses largely on travel, automobiles, lifestyle and product reviews. Note: Stats are dynamic and change over time. Ask me for latest if required. 1. 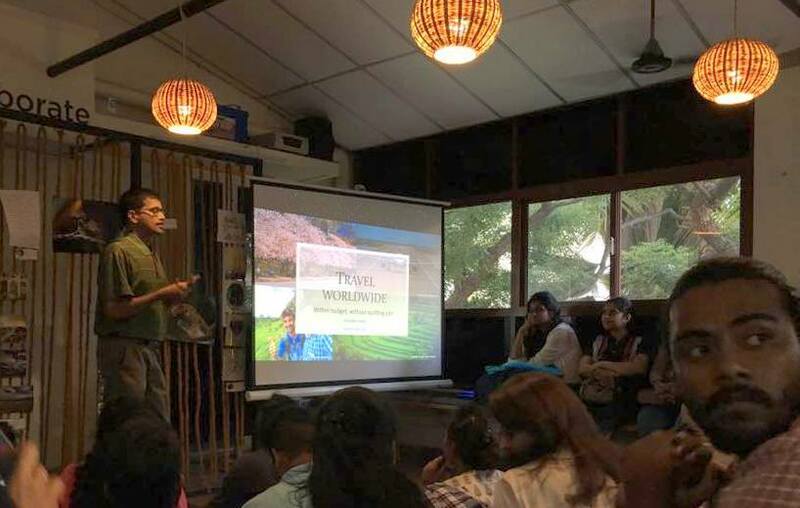 Baggout "16 socially active travel blogs in India"
July 2015: Got my first physical Best blogger award- Best Urban Chennai Blogger award at EchovMe Urban Tree Chennai blogger's meet. I have live blogged several events and conferences as an Official Blogger. I have a full time job. More details on LinkedIn. Blogging is only a passion. I don't call myself globe throttler yet but I've had my share of world travel. Have been fortunate to visit about 31 countries so far and wish to explore more. 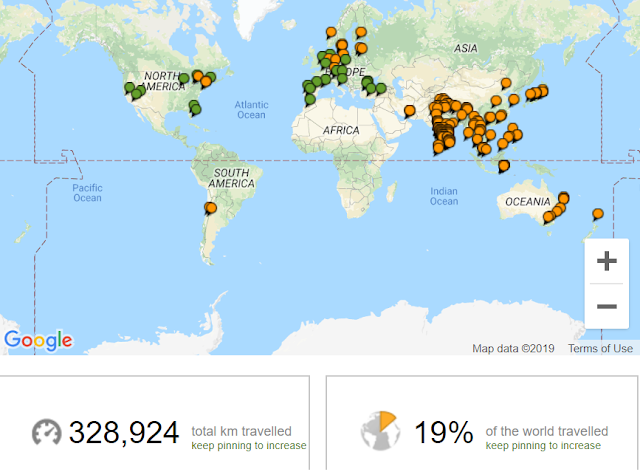 According to Tripadvisor travel map I have covered 19% of the world so far. hello friends i have honest submission regarding club mahindra resorts, the resorts are of very good quality BUT accomadation is next to impossible. 4)The best part of the story EVEN AFTER UPGRADATION TO PEAK SEASON MEMBERSHIP I RECIEVE THE SAME REPLY RESORTS ARE FULL. Better use the posts related to CM for your comments..
Also they've something called Hotel Units, which are separate inventory compared to what is offered for members..
how are you doing? I have recently purchased a domain for my blog from Google and not sure if i should move it to my new custom domain, or let it be like it is right now on blogger. what would you suggest? and if i should move to the custom one, what is the Pro and Cons? Went through your 'About' page. Very interesting. 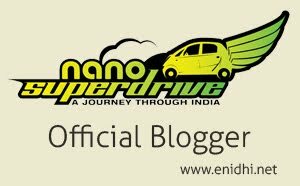 Being travel enthusiastic and lover of cars and driving them, I like your blog. Keep flow going. Dear optimize your blog .. you have good articles .. in your home page use only important excerpts of the post not the whole post. Your posts will vanish from search results. Really great Post! I've enjoyed reading through your blog http://www.enidhi.net/ because of the great style and energy. I have a blog on travel theme. If you're interested, we would love to have you on as a guest blogger. Please send me an e-mail and I can give you more information. Looking forward to hearing from you. Hello , read you cruise review. I want some more information on cruise experience in India for my work.I am unable to find your e-mail id to send the related questions. Could you help me in gaining some more information on the cruises in India. Nice can you list below websites on your reviews page please. Had come across your blog when trying to find out how to sell my Club Mahindra Membership...We loved all the resorts (4) we have been to.. tho booking can be a bit taxing...However, since we have adopted a dog recently, our vacations are curtailed as we dont want to leave our pooch with strangers even for a day!.Hence, wanted some help...Is there any way you can help me ? Would appreciate a reply. I really appreciate your honest take on things - movies, cars and services. Thanks so much for sharing. good luck! I used to follow your blog. I need one unbiased advice. I am presently having a M800 with AC. Did 1,40,000 KM. Pl advice which one to choose either Ertiga or Duster. (Both diesel). Ertiga and Duster are in 2 different class.. Ertiga is 7 seater, cheaper, good as a family vehicle for road trips. Duster on the other hand is 5 seater, bit expensive and is good for rugged usage (even 4x4 is available).. So without knowing your usage I can't recommend. My monthly usage is 1000 km in city and 500 km on high way to go to native. Ertiga is fine for me but I am not sure about it's capability on ghats as I am planning to go to Leh next year. Pl recommend which one to choose. Ertiga is fine on the ghats-handles corners well and has good stability. However it doesn't have as much ground clearance, power and 4x4 system that top spec duster has. Given the price difference of several lakhs, I suggest you buy Ertiga for everyday use, with money saved, rent some big SUVs on need basis. If going to Leh is just one time mission, you can simply rent an SUV from Delhi and use it. NOte that even Swift has successfully crossed Leh, so Ertiga is very much capable but you will have to play it carefully. You are an inspiration for sure for many. Keep traveling no matter land or air. Best Wishes!! I am regular reader of your blog & it is always filled with lot of useful information. I would like to check with you if you have done any research on Rooftop Solar power generation (grid tied system) from which we can export power to BESCOM. 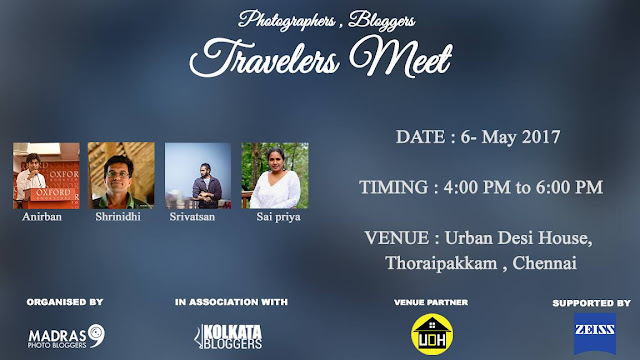 Just wanted to check if you have come across this in Chennai? It is slowly picking up in Bangalore, but not many people are opting because of huge initial cost! Let me know if you find some info on this. @Anant: Appreciate your readership. Unfortunately I haven't done any research on the same and haven't noticed it in Chennai. Will keep an eye open. This is Vignesh from Congo, your blog is very inspiring. May I know how much it cost to run your website? i have linked your link into my blog. a really cool blog. I want to be able to be like you. How do you do? Great Blog & Definitely a worthwhile life you are pursuing. It will be great to know how do you plan your travel. I see that you are posting on an average one article per day. May I know how do you manage your time? I suppose you are working as full time. Do you find time to do other things viz. sports, etc. May be, I am getting personnel but curious to know! I break a trip into lots of smaller topics and write on one topic at a time- one small post a day- this way it has been easier to manage. I spend about an hour or two every day (usually late evening after office or early morning) on blog and may be little more on weekends if I am at home. I would like to submit article. Shrinidhi, Thank you for your detailed directions to Huthridurga near Magadi. We used your directions a couple of weeks ago - and the details and pics were most helpful. As is often the case in our country - even folks in Magadi often don't have all the information on 'getting there'. 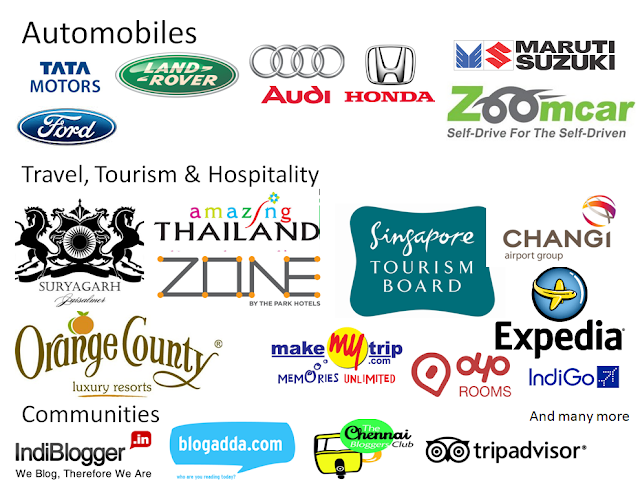 I am from Bangalore and trying to use self drive car rental service for first time. Which company do you recommend? Each company has its pros and cons- there is no one answer- Revv, Zoomcar, Myles are worthy considerations- check their policies, charges and identify what works better or cheaper. They all have very simple process- if still not sure, begin with any one-do not worry much. 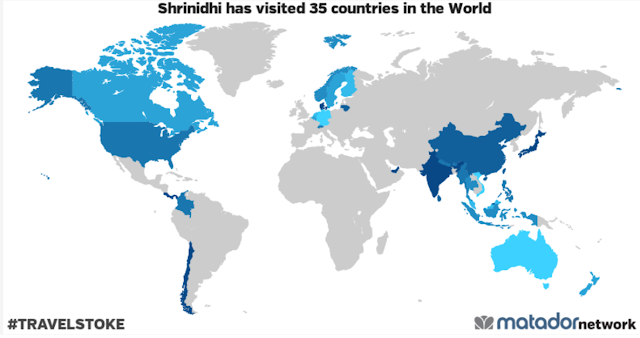 Hello Shrinidhi, we are already connected on FB & Instagram. Loved your website, although I admit I came here first time. Your career graph is very much the same as me (except for the travel part), so I already feel the connect. Good to follow you :) Goodluck. Not interested in MLM, network marketing etc. 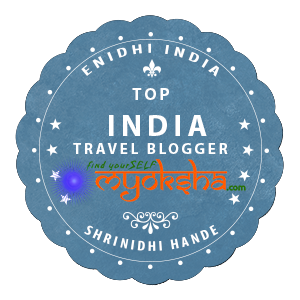 hi Shrinidhi, wonderful blog. congratulations. interested in buying club mahindra holidays. have registered. My request: Is there any way to see the whole excel sheet without scrolling vertiacally and horizontally? that will be of great help. thanks. Sorry. Space on screen is limited, so not possible to avoid vertical scroll. We are looking for a Modified car for shooting purpose at chennai. Hello, We would like you to write an article about our company http://www.bimpra.in Please contact us. I am looking for your contact details. Could you please provide your email id?